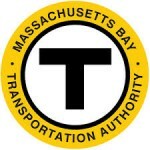 Massachusetts Bay Transportation Authority (MBTA) Green Line Extension | Triunity Engineering & Management, Inc.
Massachusetts Bay Transportation Authority”s (MBTA) transit system in the Boston area is steeped in history and is the oldest system in the nation. 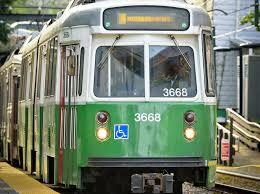 The Green Line Extension (GLX) Project extends the existing Green Line service, one of the six lines in MBTA’s subway system, starting from the relocation of Lechmere Station, through the northwest Boston corridor communities of Cambridge, Somerville, and Medford terminating at the College Avenue Station. This main line extension will add approximately five new stations, a new vehicle storage and maintenance facility, and add a new station in Union Square in Somerville, on a spur line. In collaboration with other teams, Triunity is providing Program Management and Construction Management oversight for the $1.3B Green Line Extension (GLX) project. Our team administers, manages and coordinates all activities within the Project Management and Oversight Scope of Services: preparing, tracking and managing actions required to achieve budgets and schedules, satisfy project goals, and maintain quality as specified in the plans and specifications. In addition, is the advanced conceptual design services and preliminary engineering services for the system wide communications and control systems. Specifically, Triunity is designing the Wide Area Network (WAN) fiber optic network and Local Area Network (LAN) communications, as well as the extension of an existing SONET network and new secure networks for CCTV traffic and Trunked Radio projects. The GLX technical systems at the stations, which include Fare Systems, Passenger Information Systems, CCTV Systems, WAN, Access Control, Station and Wayside Telephones, and Radio System Infrastructure are also being designed by our team.